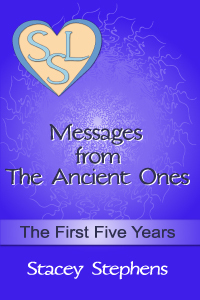 This is the full collection of the first five years of Messages from The Ancient Ones in PAPERBACK. Having a physical book that you can hold in your hands makes a real difference to how you interact with the Messages. Our early reviewers have told us how much they appreciate being able to either read the book from cover to cover or simply open to a page or Message they feel intuitively guided to read. Keep a copy on the coffee table, in the bathroom, office, or take it with you when you travel.